Be the first to hear about their new releases and deals. 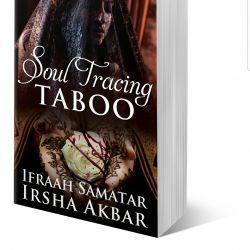 Download the Booksprout app and search for Ifraah Samatar & Irsha Akbar today! We are two crazy dreamers who wanted to tackle how women from our culture are perceived. Sometimes a girl is raised in a culture that places so many restrictions and forbidden list of what she can't do. That girl sadly grows up to be an enabler of oppression and abuse, she loses a sense of what is right or wrong. Our book series will have everything from prejudice, hate, discovery. Love and most importantly a female lead who will bring light to issues that is affecting countless women around the world.